Hi peeps, i thought of starting this topic for a little fun, it's simple really just post a picture of the house of an author that you know (local or foreign)! i'll start with my favorite of all time - Jane Austen! Chawton House, where Jane Austen wrote most of her brilliant, sparkling novels. The Henley Street house in Stratford Upon Avon where William Shakespeare was born and where he spent the early years of married life with Anne Hathaway. It was here that he wrote Sherlock Holmes novels including "The Hound of the Baskervilles" and "The Return of Sherlock Holmes." 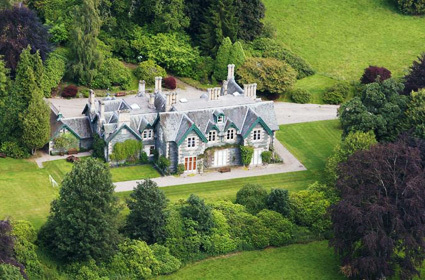 The house was designed by Conan Doyle, who oversaw its construction in the 1890s. Arthur Conan Doyle was told in 1893 that his consumptive wife had only months to live, he absorbed the diagnosis — then went home and built her a house — Undershaw — where she survived for another 13 years. Thanks lizzie23, yes actually there are only a few houses that the authors built and designed themselves so now Conan Doyle fans are trying to save it because its been abandoned and a developer wants to renovate it as 3 separate hosues. The Mark Twain House and Museum - home of Mark Twain (a.k.a. Samuel Langhorne Clemens) from 1874 to 1891 in Hartford, Connecticut, USA. Thanks, JP! Thats a really nice house, and the library, wow! Hey you know that gave me an idea for a new topic! Celebrity Libraries! I'll start it in a new thread now! The childhood home which inspired Harry Potter author JK Rowling has gone on the market, complete with a spooky trapdoor, a cupboard under the stairs and even a secret scrawl penned by the author as a teenager. And this is the library today. I read the house was opened to the public in 2009 then later that year they discovered a forgotten Hercule Poirot mystery in the attic.